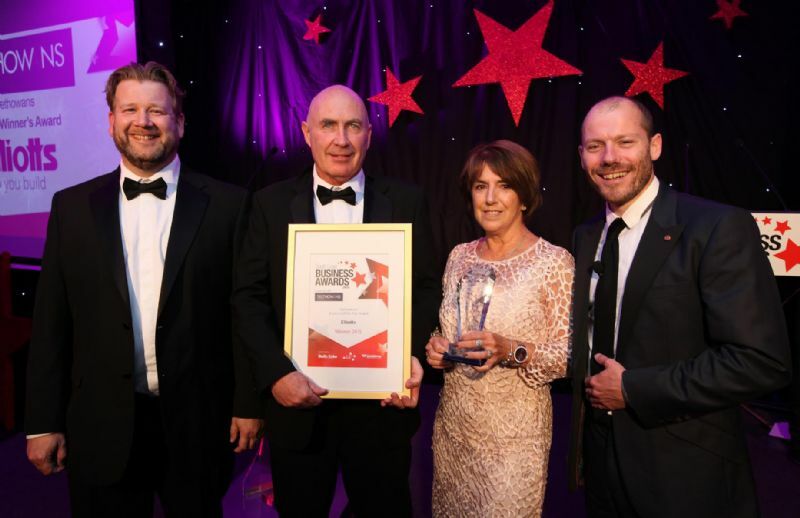 Elliotts, the South's leading independent supplier of building products for the trade and public, won the overall prize at the South Coast Business Awards on Friday (July 10), after showing impeccable customer service and commitment to the region. The company picked up the Trethowans Overall Winner’s Award at the Southern Daily Echo and Business South-backed event. Judges were impressed with Elliotts’ commitment to customer service, as well as its support of local charities, community groups and people. They also rated the company’s strong growth in recent years. In the last 12 months the company has increased its turnover by 29 per cent, opened three new branches and boosted its employee numbers by 26 per cent. The latest accolade marks a hat-trick of awards for Elliotts over the last three months. In May the company was presented with Hampshire Chamber of Commerce’s Southampton Business Success Award and in June it won the coveted Property and Construction Family Business of the Year at the Family Business United awards in London.